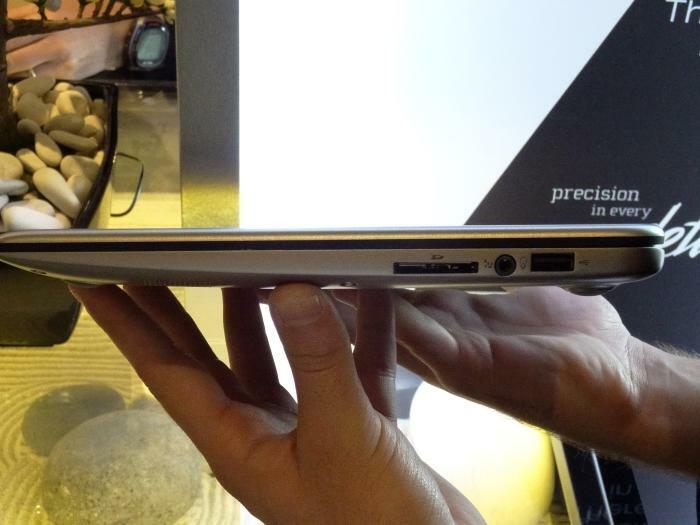 Toshiba has just shown off its KIRA Ultrabook, which is a premium Windows 8 Pro-based laptop aimed at users who want something more than a standard, cheap-as-chips laptop. The new laptop costs $1799 in its most basic form (for the Core i5 model) and $2199 for the top-end model (with a Core i7 CPU). 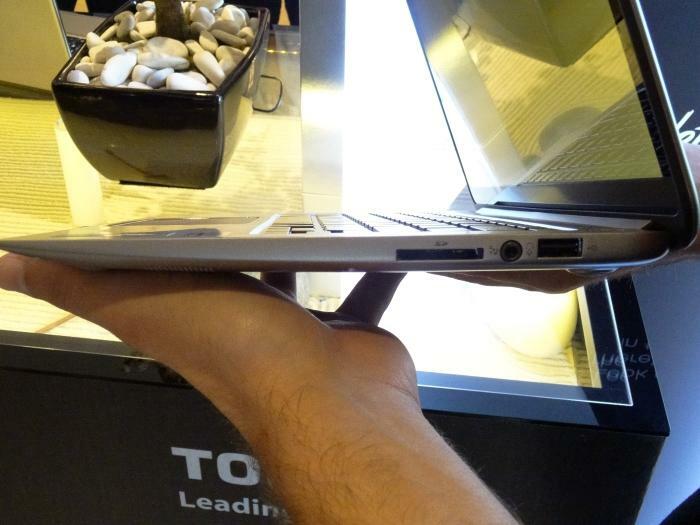 KIRA: Toshiba's 13.3in laptop for users who are after a premium product. It chassis is made from pressed magnesium alloy and it has a honeycomb structure to give it strength. There are full-sized ports around the edges for an HDMI connection, an SD card, and up to three USB 3.0 devices. The inclusion of a full-sized SD card slot is particularly good and, coupled with the high-resolution screen, should help the KIRA should appeal to photographers who want an easy way to get photos off a camera and view them on a large, mobile display. 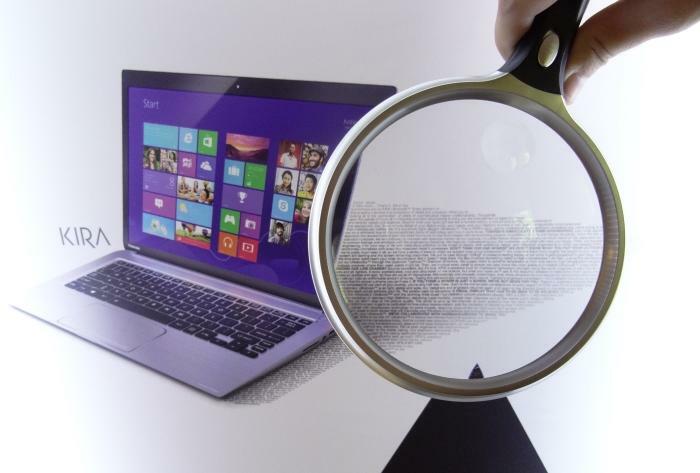 The resolution of the screen is 2560x1440, which should appeal to photographers, and anyone who likes to multi-task. 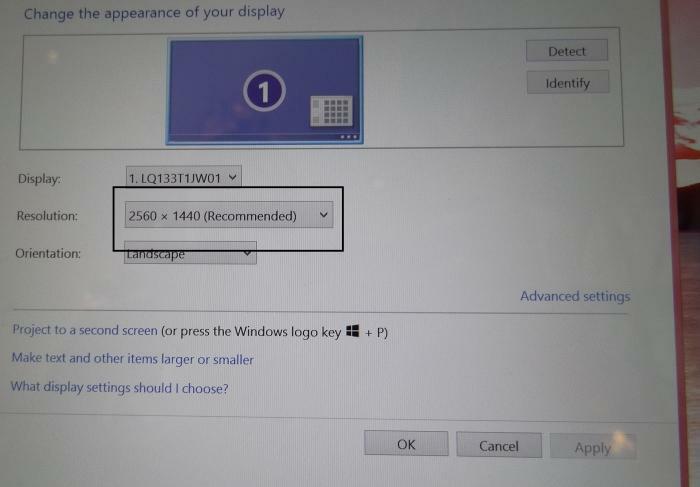 The screen is 13.3 inches and it has a native resolution of 2560x1440 pixels. We had a chance to look at it up close today, and it's definitely impressive. The front of the screen is protected by Corning Concore Glass and there is only some glare noticeable when you look it from the sides. Overall, it's vibrant and responsive. Also, it's a touchscreen, which means you can get the most out of the Windows 8 Start Screen interface. The KIRA with its lid closed. 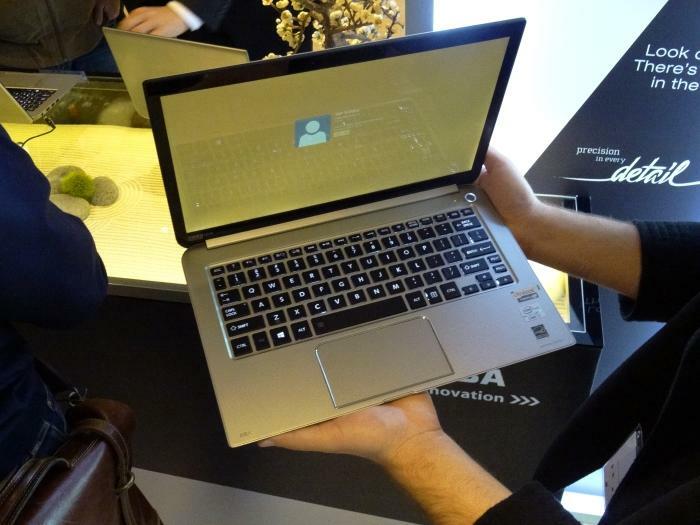 A very thin design ensures that the KIRA isn't heavy (Toshiba says the KIRA weighs in at up to 1.35kg for the highest model), but at the same time it packs in enough horsepower to be a capable content-creation machine. The CPU options include an Intel Core i5 (the model of which we're unsure of at the moment) or an Intel Core i7-3537U (the model in the photos). 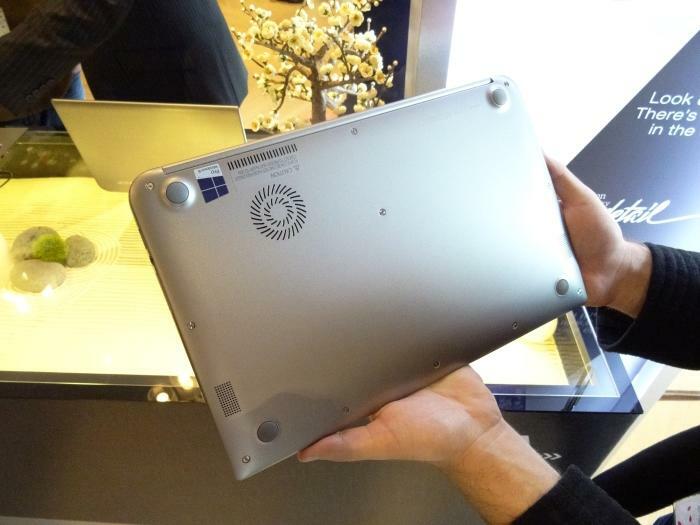 You get 8GB of RAM and a 256GB solid state drive, which is installed in a micro-SATA (mSATA) slot. Toshiba said that current models will have third generation Intel CPUs, but that fourth generation models will be available after the release of the new chips. As always, this is bound to make some people wait for the latest and greatest CPU models. 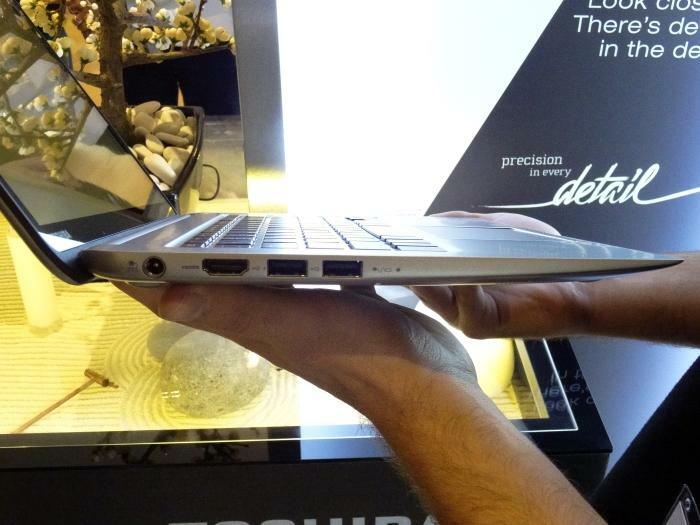 The left side has the power port, full-sized HDMI and two USB ports. The right side has a full-sized SD card slot, a USB port and a combination headphone/microphone port. But specs aren't the be-all and end-all. Along with the high-resolution screen and strong build quality, you can look forward to a backlit keyboard and a keyboard that's also a little different from the norm. Note the location of the Page Up and Page Down keys and the space given to the arrow keys. 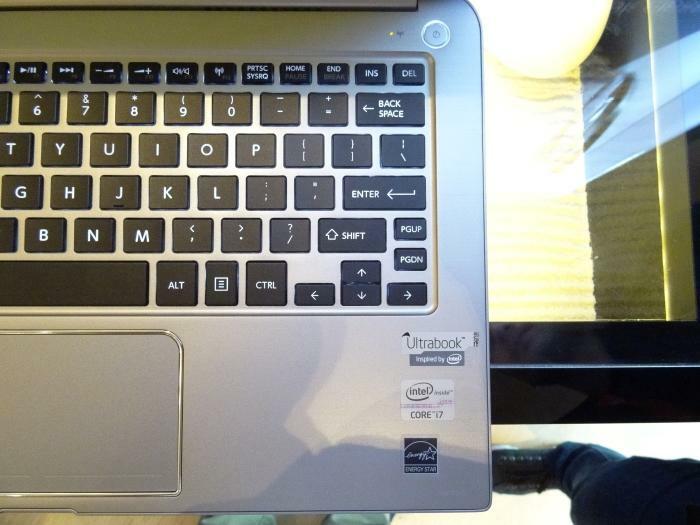 The keyboard is backlit and it has a layout that includes spaced left and right arrow keys, as well as dedicated Page Up and Page Down keys right near the arrows. We think it's a nice design. The machine feels smooth to touch and its hinge is strong. Tapping on the screen doesn't cause too much vibration and the surface of the screen felt very smooth to our fingers. The balance of the notebook overall feels very good, but you can't open the lid with one hand — well, you can, but the base will come up off the table a little. The cooling fan for the Core i7 CPU. You can also see the speaker vents on the sides. We haven't heard the speakers, but they are Harman/Kardon and we enjoyed the audio output from the last Harman/Kardon-equipped Toshiba that we saw, even if it was a much bigger model. 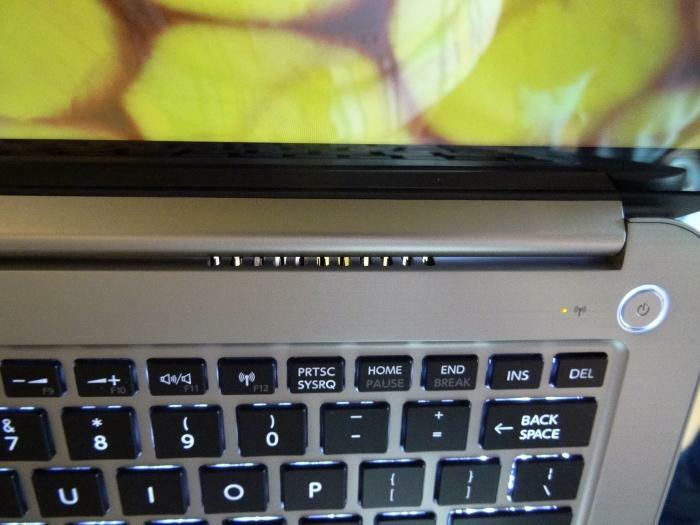 Here's the rear vent for the fan, which can be seen from the top of the laptop. Basically, the KIRA is a great little unit that we can't wait to review properly, mainly because of its excellent touchscreen. The build quality and the overall look and feel of it are also appealing. Toshiba's managing director, Mark Whittard, said that KIRA is a product the company hopes will help "keep customers forever" not only because of its high quality, but also because of the support behind the product. It ships with a 2-year warranty (on-site for metro areas, regional areas are serviced by pick-up) and there is also a dedicated KIRA support line that users can call if they ever run into problems with the unit. International support is available, too.